Quick history lesson: Northcliffe (b. 1855), when still Alfred Harmsworth, was a keen automobilist of the first hour who flogged his Gardener-Serpollet steam car all over Europe. In 1896 he participated in the London–Brighton Emancipation Run and in 1899 proposed the idea of the London–Edinburgh–London endurance trips. (He also founded Cycling News magazine.) 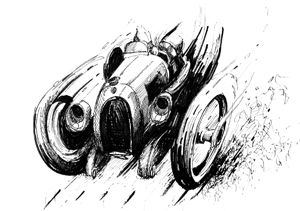 In 1900 he threw his newspapers behind the Thousand Mile Trial and advertised the event, indemnified the host, the Automobile Club of Great Britain and Ireland, against losses and added £410 to the prize fund. Already then he was anything but impartial in using his newspapers as a soapbox for whatever cause he happened to be inspired by. His papers, for instance, would only write about those cars that submitted themselves to the club’s tests. Nonetheless, his vision of a motorized future was as deep as his pockets and in 1918 his Daily Mail offered the astronomical sum of £10,000 for the first nonstop transatlantic flight. Harmsworth’s early friendship with Claude Johnson, the first Secretary of the ACGBI who would go on to become a Rolls-Royce’s Managing Director, and his enormous fondness for Henry Royce and his cars would give the Rolls-Royce company visibility and advocacy in the upper echelons of policy-making whose decisions would materially affect the firm’s fortunes as a carmaker and government supplier of war-related machinery. Voluminous correspondence attests to his decades-long close, and for Johnson probably exasperating, interest in Rolls-Royce that easily borders on the meddlesome. The number of books about Northcliffe utterly pales in comparison to the paper trail this prolific writer and diarist left behind himself: his public papers, archived at the British Library (Northcliffe Additional Manuscripts), number 245 volumes! Thompson’s two studies explore just how inseparable the public, political, and journalistic strands of Northcliffe’s life are. At the time of the writing of these books, 2000 and 2001, it had only been a few years since the discovery of heretofore unknown Northcliffe material at the archive of The Times newspaper and the private Harmsworth Archive. This caused half a dozen new books to be written, most of which examine his life in the context of the Fourth Estate in general and New Journalism in particular. Thompson taught then, and still does, at Lamar University, Texas. His research interests are rather wide-ranging, from World Cultures to Victorian England to 19th- and 20th-Century Europe as well as US history. He also teaches Historical Research and his several mass-market monographs amply demonstrate not only his immersion into the subjects but also his ability to bring the proper tools to bear. His Northcliffe books are partly based on evidence not previously published. Both examine the public figure and political animal rather than the private man. 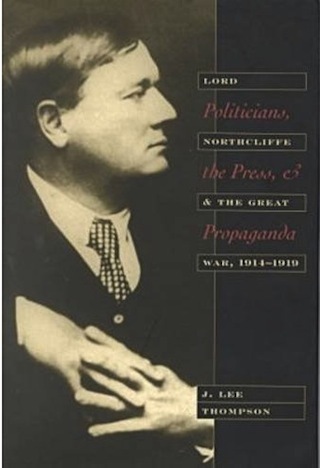 The first one focuses on the propaganda aspect of Northcliffe’s (ab)use of his newspaper empire to direct public opinion to force the British government’s hand during the Great War. “Power without responsibility” is the overarching theme here. It is not clear why the decision was made to write two stand-alone books (published by different houses). They do go in somewhat different directions and, thankfully, there is minimal overlap between the two. 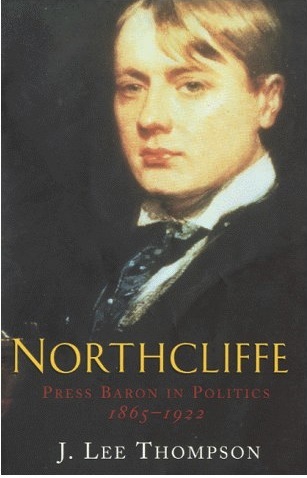 The second one is quite more substantial and has a wider scope, covering Northcliffe’s entire life from 1865–1922 and focusing on his political and imperial connections. 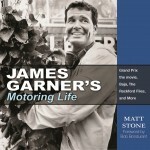 His journalism and publishing activities are considered only inasmuch as they relate to being a means to and end. His unprecedented influence on his government’s policy decisions is traced through a review of the correspondence by, to, and about him. Instrumental in encouraging development of a British aircraft industry he was once offered the post of Secretary of State for Air but declined in favor of one of his brothers, Lord Rothermere. Northcliffe’s “throwing his weight around” in strategy matters would critically affect especially Rolls-Royce’s survival during the war as an aero engine supplier. This aspect is entirely peripheral to Thompson’s books but of great interest to Rolls-Royce historians, and the books therefore provide important context for Northcliffe’s actions in that arena. 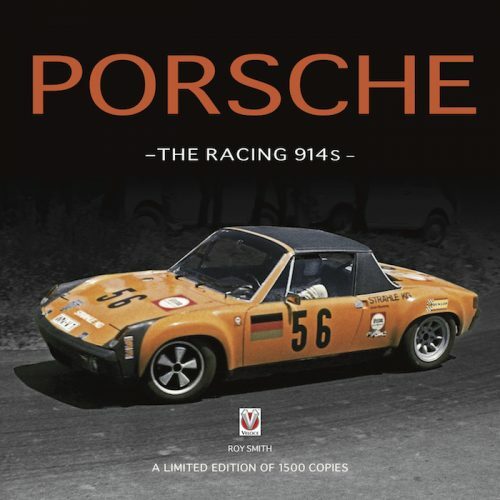 Car and aero books can touch on societal and political context only to the extent that it is more or less directly relevant to their specialized topics, leaving any nuanced treatment of big-picture issues by the wayside. 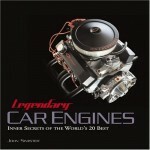 Thus Thompson’s books do have a place in the well-rounded transportation enthusiast’s library! In his Kipling- and Cecil Rhodes-inspired age of ever-expanding Empire, Northcliffe was not the only or the first one in whom the Rolls-Royce motto “All-British Motor Cars” resonated and who considered patronage of Rolls-Royce a patriotic act, if not duty. In such sentiments lie the foundation of Rolls-Royce becoming a national institution, not just a mere maker of motorcars. A perplexing personality made Northcliffe “capable of astounding triumphs and equally colossal blunders” and Thompson documents it thoroughly in these commendable books. Include notes, bibliography, and index.